Photo inside a barrack. 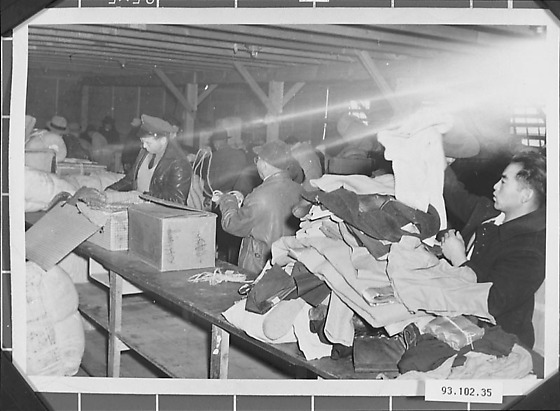 Long narrow table in foreground with a pile of clothing and boxes on top of it. One man at the far left if examining the boxes. The checking of the packages belonging to the people who were going back to Japan was very strict.